LiveChat is the one software I will recommend for website based customer support service. I will also recommend this program for teams looking to cut their financial budget expended towards training new team members to use software.With a tool like LiveChat, there is very minimal training required before a team member is able to adequately take charge of the software. When compared to alternative support mediums like a support email or call center support, I will suggest a LiveChat backed app/website support for teams (small, medium, and large).This alternative is cheaper and makes it very easy for support agents to multi-task by addressing multiple web visitors at the same time. 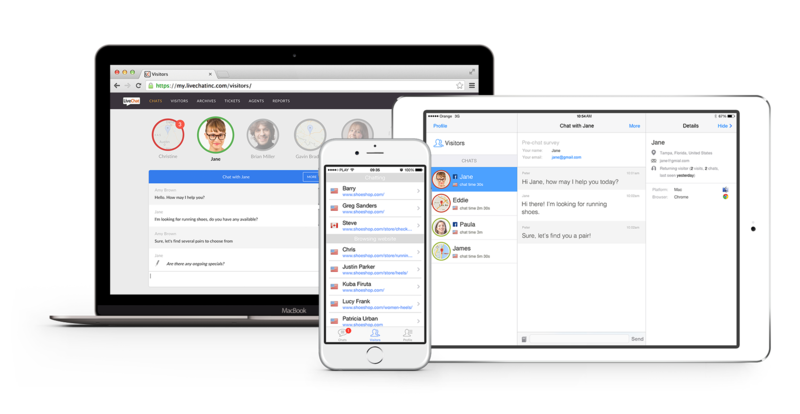 Simplicity: LiveChat is simple and intuitive to use. Before LiveChat, we would arrange weeks of training sessions to train new employees on how to efficiently use our helpdesk solution. However since we adapted LiveChat as our helpdesk program, we spend between a few hour to a few days of instructional guidance and new employees are good to begin using LiveChat. In the above context, LiveChat has saved my organization financial resources. LiveChat integrates well with our primary social media page - Facebook. With the Facebook/LiveChat integration, visitors to our Facebook brand page have been able to chat up a customer support agent on my team, without their leaving the Facebook interface. LiveChat thrives well in the area of support it provides teams and sales departments. Apart from the regular 24/7 support which we make use of ,whenever we run into obstacles using LiveChat , we also get support materials from LiveChat team members like Jacob Arent, Mary Jaksch etc. These Support materials usually involve tips and real life experience story’s detailing how teams can increase sales conversions by leveraging on the enormous possibilities LiveChat presents teams. LiveChat has been fantastic with its integration. At the moment, we integrate LiveChat with MailChimp and Salesforce. Thus resulting to increased website visitor to customer conversion. LiveChat needs to expand the functionality of the LiveChat smartphone app. At the moment, apart from basic live conversation with website visitors, the LiveChat mobile app. Is unusable for tasks like responding to customer tickets ,editing user profiles on the LiveChat dashboard etc. I have just found it difficult nailing a fault apart from the enterprise pricing. The software allowed us to leverage additional Sales Team activity from our web traffic - letting us increase engagement with customers and drive additional sales. The chat routing functions allowed me to segment traffic on particular pages to relevant parts of the sales team. Reporting allows us to monitor productivity of team members & the success the tool is having with regards to generating additional activity for the Sales team. Livechat has improved the speed at which we are able to respond to customer complaints and questions. Livechat has provided us with important analytical insights into the performance of our helpdesk team . Making it easy for the marketing team to know super performing helpdesk agents and agents whose performances are below par. Livechat provides us with insights into the kind of traffic we get on our website. This enables us effectively tailor our marketing efforts towards addressing weak points shown us by LiveChat's analytical reports. LiveChat Applications are available for web browser, Windows Mac and iPhone, iPad and Android devices.